The introduction and annotation of the gloss by the translator places Masnata’s contribution within the context of politics and science in Italy in the 1920s and 30s. Analogies drawn between paroliberismo and quantum physics will be of particular interest to text sound and language poets. The book has 20 plates, including photographs from Masnata’s personal scrapbooks. 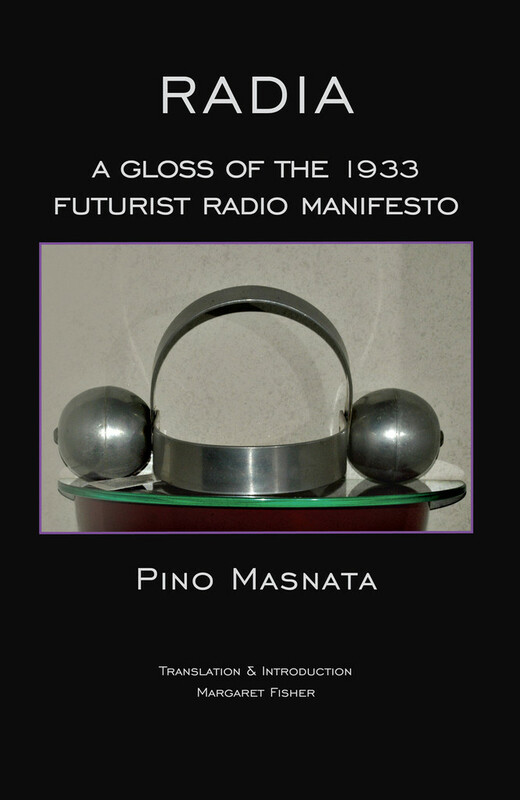 Appendices include translations of nine of Masnata’s radio sintesi never before published in English, a translation of Marinetti’s radio reportage of Italo Balbo’s triumphal return from his 1933 transatlantic crossing, and a first-ever catalog of hundreds of listings of Futurist radio programs and broadcast-related documents by and about the Futurists—photographs, reviews, articles, photographs, cartoons, and advertisements. Your Futurist library will not be complete without this volume. Tables of over 300 Futurist Broadcasts dating between 1925 and 1943. Translation by Margaret Fisher.